Charo Ruiz's collections are inspired by the freedom of Ibiza, which is why each design is a dream to wear on sun-drenched vacations. 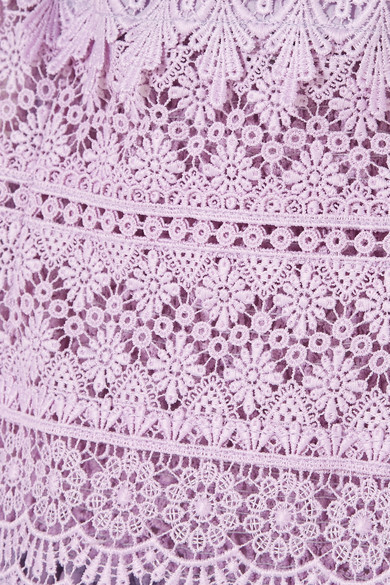 This lilac 'Joya' mini dress is made from cotton-blend and crocheted lace that's resistant to creases (even when folded in your suitcase). Style it with flat sandals and a basket bag. Shown here with: Nannacay Tote, Cult Gaia Sandals, Roxanne Assoulin Bracelets, Chan Luu Bracelet, Alighieri Necklace, Chan Luu Bracelet.